Thinking about carrying out a home renovation? Do you know if your house contains Asbestos? Finding out whether your home has Asbestos is always best before a big renovation. This article will equip you with an understanding of the different Asbestos types, common areas where the different Asbestos can be found and what to do if you do find it. Not all houses contain asbestos. There are general rules that can be used a guide to know how probable it is that your house contains asbestos materials. However, all new building materials will not contain asbestos as in late 2003 it was banned throughout Australia. Since that time, asbestos is illegal to import, store, supply, sell, install, use or re-use these materials. If your house was built in before 1990, it is likely it will contain some asbestos materials. If you are hiring contractors to do some renovation work for you, you need to advise them when your house was built. This is the same for all labourers used, a sign or sticker should be displayed where they will see it before starting renovation work. 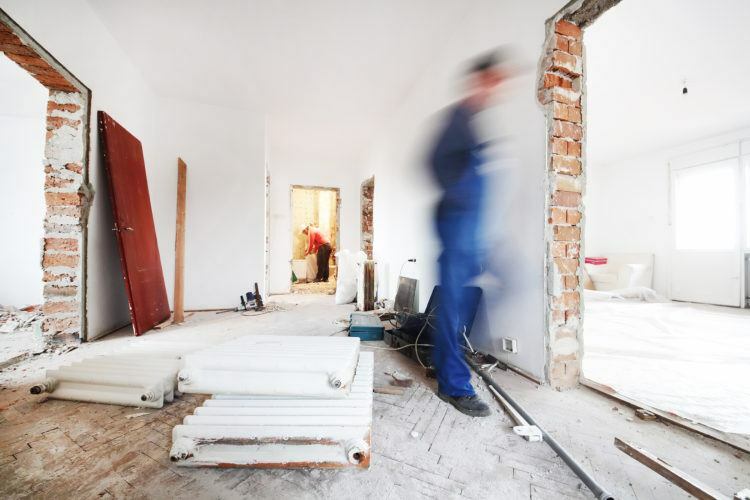 If your house falls within the ‘likely to have asbestos’ age, then this is something you need to think about before starting your renovation. Call us for a free quote to have an Asbestos inspection undertaken at your property. If you have seen these terms when doing your asbestos or renovation research. They are simply just the two terms used to describe the type different types of asbestos. Non-friable is bonded asbestos whereas friable is loosely bound asbestos. Non-friable (bonded) asbestos-containing materials are found in both domestic and non-domestic buildings. Non-friable asbestos is not dangerous if it’s found in good condition, meaning undamaged, and remain undisturbed. 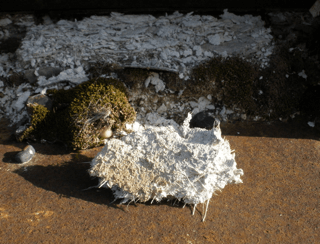 For example, non-friable asbestos cement (aka “asbestos cement”, “AC sheeting”, or “fibro”) typically contains 5-20% asbestos and the fibres are tightly bound in the material, which prevents the Asbestos fibres from becoming airborne. Friable (loosely bound) asbestos-containing material can be very dangerous, this is because it can contain up to 100% asbestos. As the material is loosely bound, the fibres are quite loose and can be turned to dust with very light pressure. When asbestos is turned into dust the fibres are released into the atmosphere, which is when it becomes dangerous as people can inhale it. Friable asbestos is found in old commercial and industrial settings, it’s primary use being fireproofing, insulation and sound proofing. Non-friable (bonded) asbestos can be found in Queenslander vinyl tiles. 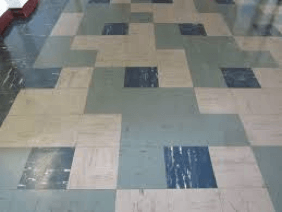 Asbestos vinyl tiles contain 8-30% asbestos in a tightly bonded matrix. 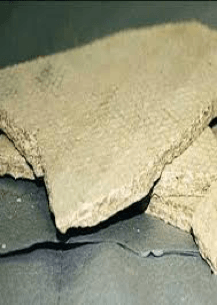 However, if these tiles or any non-friable asbestos materials deteriorate, then they may turn into friable asbestos and become more dangerous. Bathrooms are a common space where non-friable asbestos materials were used, for more information about asbestos in bathrooms, read our article. When the friable asbestos material was used in domestic buildings it was normally done so in small amounts. Some areas it can be found is old domestic heaters, stoves, hot water systems and pipe lagging, inside fireplaces, sprayed on vermiculite insulation material in some common areas of unit blocks. For a comprehensive list of areas friable asbestos-containing material can be found read Asbestos a guide for minor renovation by the Queensland Government. If an inspection identifies that you have asbestos in your house, then there are safety precautions to be taken and it will need removing. If the friable asbestos material is found you are required to have a Class A licensed professional to remove it. 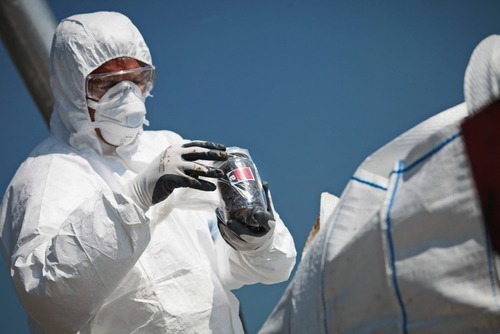 This will ensure the safe removal and disposal of the dangerous material, which is required by law. Our process for removal follows the five steps: inspect, prepare, remove, decontaminate and disposal. This process ensures the safety of our workers, those living in the household and your neighbours. Excel Asbestos Removals is fully accredited to safely remove asbestos from homes and commercial sites. What if I break asbestos? If you have started renovations without an inspection on an old building, you may accidentally break asbestos. The worrying part is that you may not realise what you’ve done, which again is why inspections are important. But if you have noticed it is asbestos material that you’ve broken, then there are a couple safety steps/tips to take into consideration. The Queensland Government recommends the following. Wipe up any dust caused when breaking the asbestos with a damp cloth or damp paper towel. Then place the damp cloth or towel inside a plastic bag. Double bag it, tying both bags tightly and place into the outdoors rubbish bin. Do not use a normal vacuum cleaner to clean up the dust as it cannot filter out all the fibre particles. It can also release more asbestos fibres into the air, causing more danger. If you just crack the asbestos-containing material, then you should seal the crack. This can be done with a product like PVA glue, paint or poly filler. If unsure, just contact us and we can advise you. 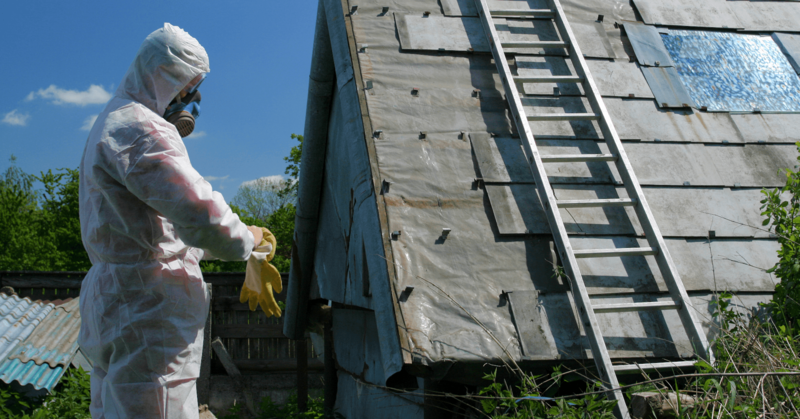 Asbestos should be removed and disposed of by an accredited professional. Excel Asbestos Removals services a large area from northern Sunshine Coast to southern Gold Coast and west towards Toowoomba. For any of your asbestos testing, removal and disposal needs, contact us for a free quote.